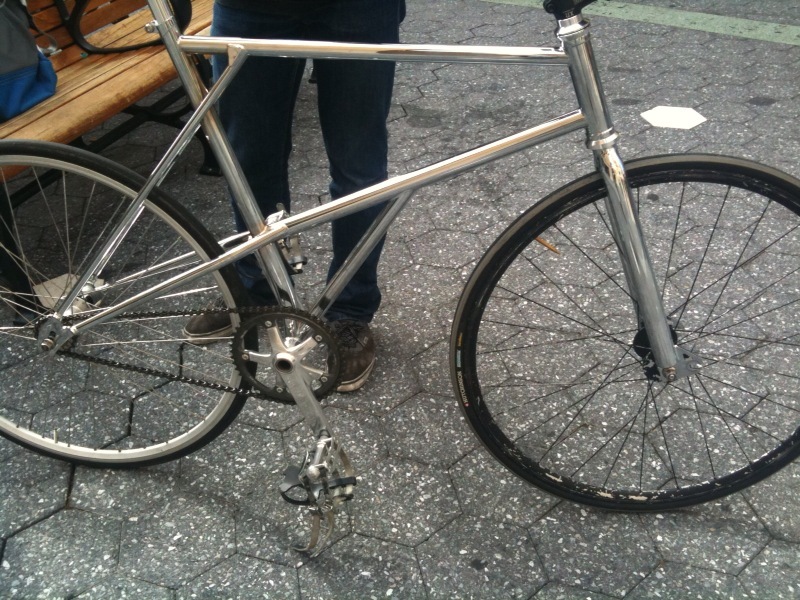 Byron sent me these photos of a fixed gear frame designed for trick riding. As the trick riding on fixed gears becomes more demanding, a number of manufacturers are bringing out burlier frames with many trick riding-specific features. For some companies that already offer BMX trick bikes, their response to the emerging market is a natural progression, and the influence of their experience with 20” wheeled bikes if readily apparent. 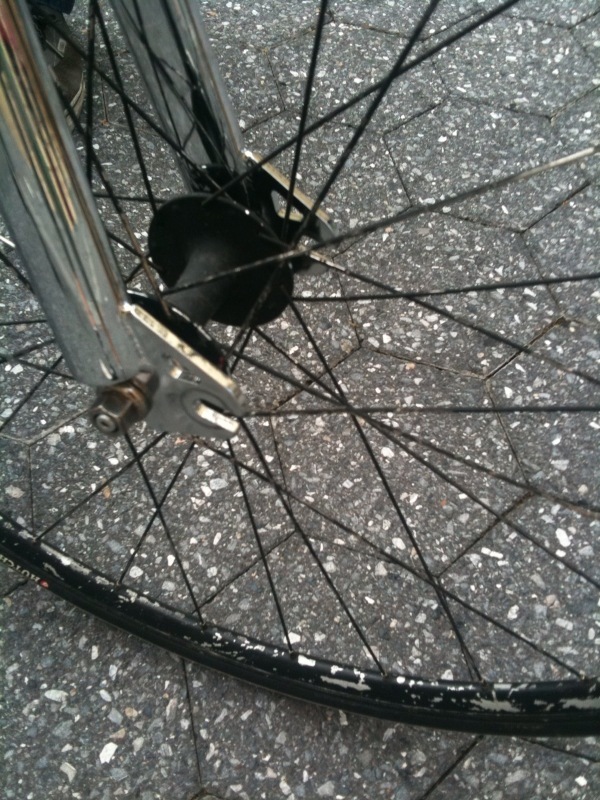 This example here has a fork that has two axle positions: one at about 30-40mm of offset for cruising the streets, and second slot at zero offset for bar spin tricks. I’m not sure about the rationale behind the elevated chainstays, though it does have the nice ability to have the chain removed without a chain tool. Dunno how often that comes into play though…. Next Next post: Most Badass BMX cranks. Ever.